Some of you may have read my True Story Tuesday post last week about Mistaken Identity. In an effort to break away from the lovely T&A site that is http://www.girlswithguns.com/, we're going to be changing our name. But we'll still be the same ole Mrs Mom and GunDiva that you know and love. 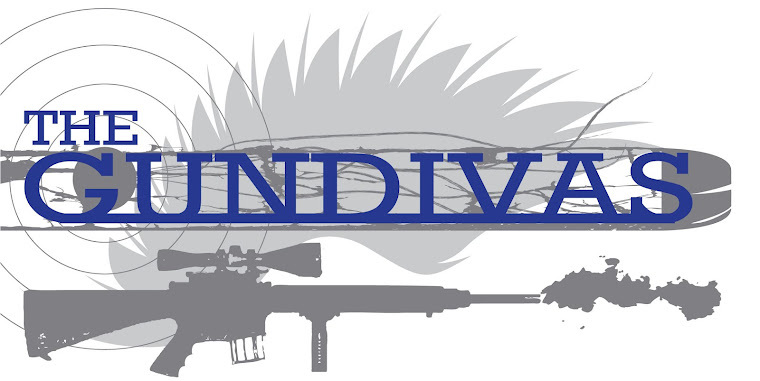 Over the next few weeks, our blog will start to look a little different, beginning with our new name, The GunDivas. I know it sounds kind of ego-centric, but there are a whole lot of GunDivas out there - Mrs Mom and I are just two of them. Sometimes, change is good and I have a feeling that this will be a very good change. What my sista from anotha motha did NOT allude to was a slight change in control. With all that is going on at The Asylum currently, I needed to make some changes. One of those changes was in the blogs I keep- as in cutting back a bit. Since GunDiva has such an amazing passion for women involved in firearms, I felt it only perfect to turn the reins over to her for this blog. I will still contribute now and again, but this change lessens the load considerably on my end. I can't thank Diva enough for stepping up. And all of you readers as well! Pam - feels good, no? Change is a good thing, especially when one sees it that way. Wanted to say "hi" and I look forward to the new look.